Water is a gift. Water is life. As water crises increase, access to safe and clean drinking water decreases. From Flint to Standing Rock, many of today’s most pressing social issues revolve around water. Faith communities worldwide can help. With a sharp focus on the need for water justice initiatives in areas of access, droughts, pollution, rising tides, and flooding, Trinity Institute aims to offer actionable guidance for individuals, congregations, and the larger faith community surrounding these issues. Trinity Episcopal Church in Oshkosh will again be a partner site for Trinity Institute, one of two sites in Wisconsin. Everyone, particularly Christians or other people of faith who are interested in social justice, ecological issues, and racial reconciliation. We will be offering the conference beginning at 8.30 a.m. Friday, March 31 and Saturday, April 1 (this is one week later than the live stream). The conference will be in the Parish Hall at 311 Division Street. There's a map on our contact page. To register, please use the form on this page; registration fee is $30. Registration deadline is March 29. 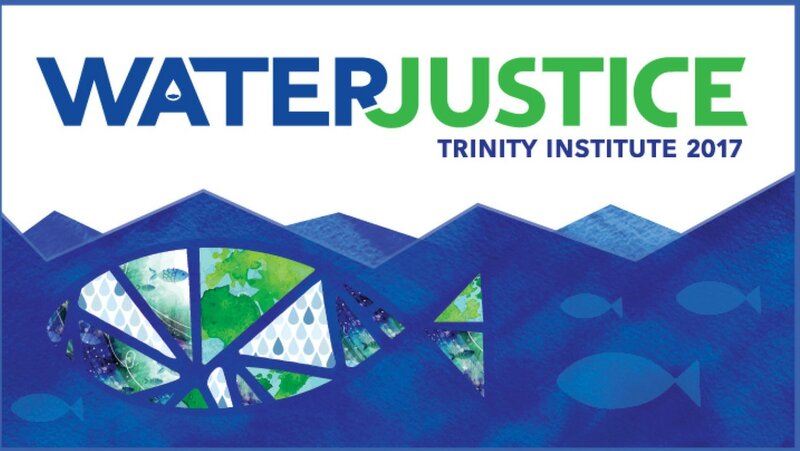 For more information about Trinity Institute 2017: Water Justice, go to their website.